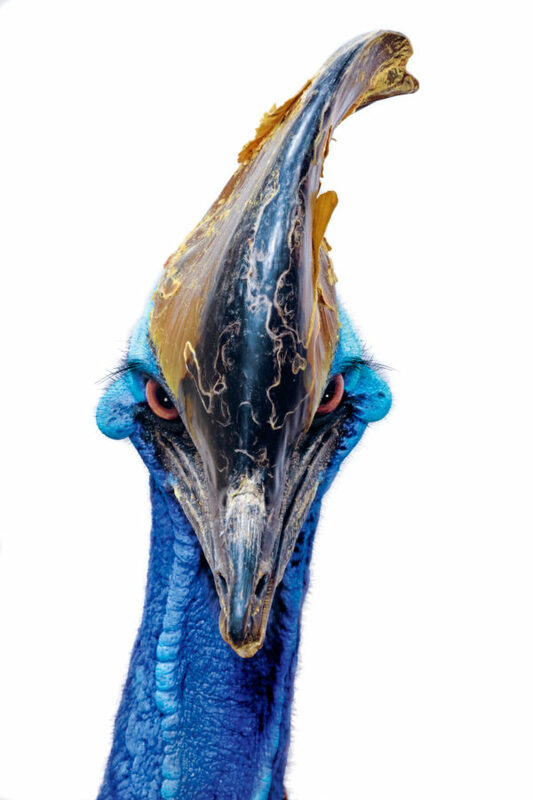 The Cassowary is one of the most terrifying animals I’ve ever been around. The whole time that I was shooting this bad boy was charging me. I’d be able to get a frame or two and then BAM, he’d strike his talons against the fence or swing his head towards me. I was able to get a good selection in the end, this being my favorite. I shot this bird on a story about Alfred Russell Wallace, the co-author with Darwin of ‘The Theory of Evolution via Natural Selection’, for National Geographic in 2004 and it’s stayed one of my favorites since.